I haven’t used SmartGlass in awhile, but I started using it again recently and I’m in love with it. It makes everything incredibly convenient and even more enjoyable. I love being able to check in on my friends, send messages or view achievements without ever having to leave my game by pushing the home button. I love being able to type using SmartGlass, and I absolutely love the companion apps. You can even view your game clips! 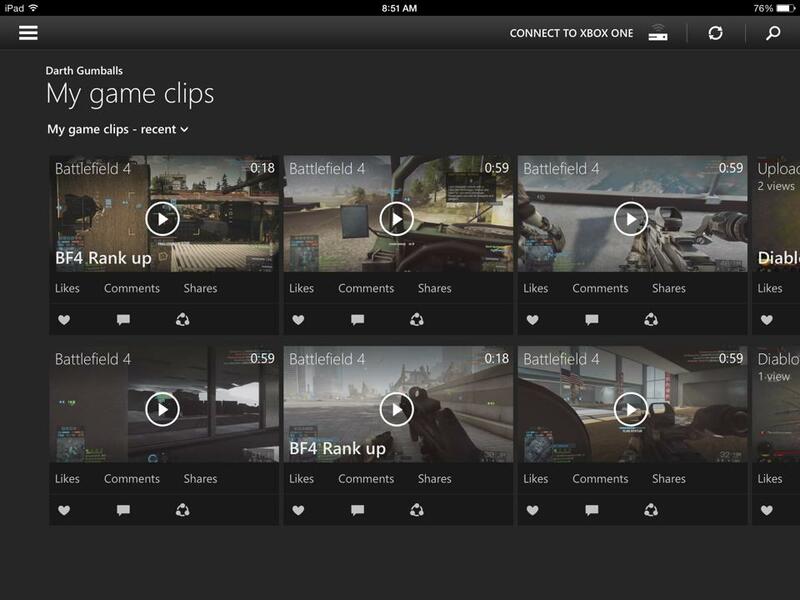 One of my favorite features, which I believe is rather new, is the ability to record game clips using SmartGlass. There’s a ‘Record That’ button at the bottom of the screen (if you’re using a companion app there will be three dots at the bottom of the screen. Simply tap those and a bar will pop up with the ‘Record That’ button on it). 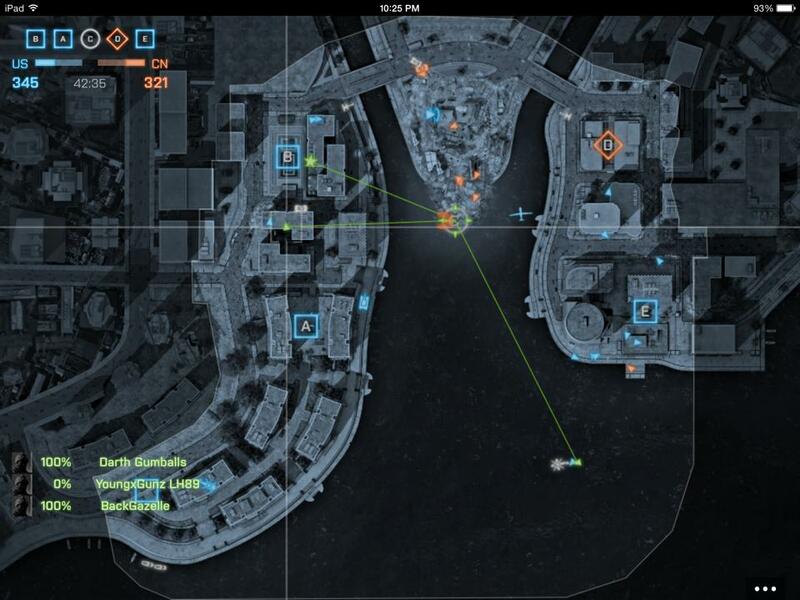 Yesterday I started using the Battlefield 4 companion app which gives you a full screen map and shows your teammate and spotted enemy positions. It’s great for keeping up your situational awareness of the battlefield, and can help you figure out where all the action is. 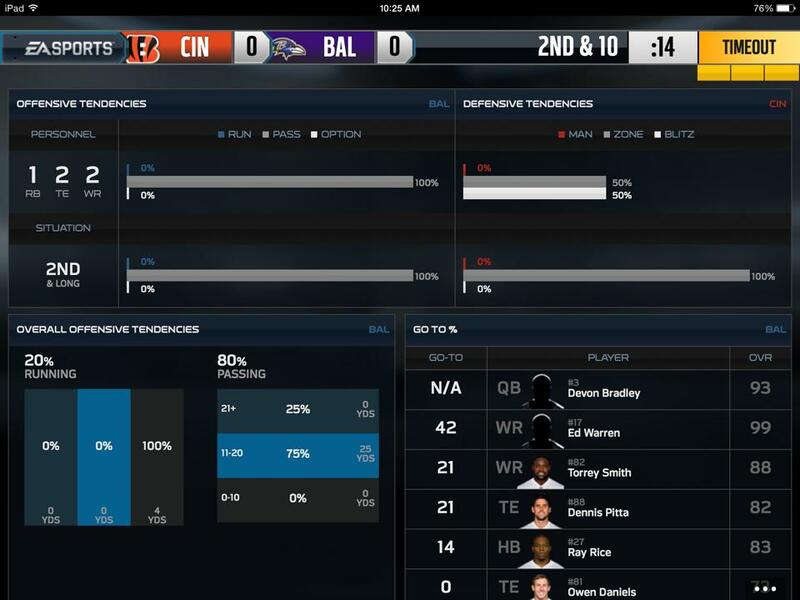 I also enjoy using the Madden 15 companion app which will show previously used plays, opponent tendencies and roster information. 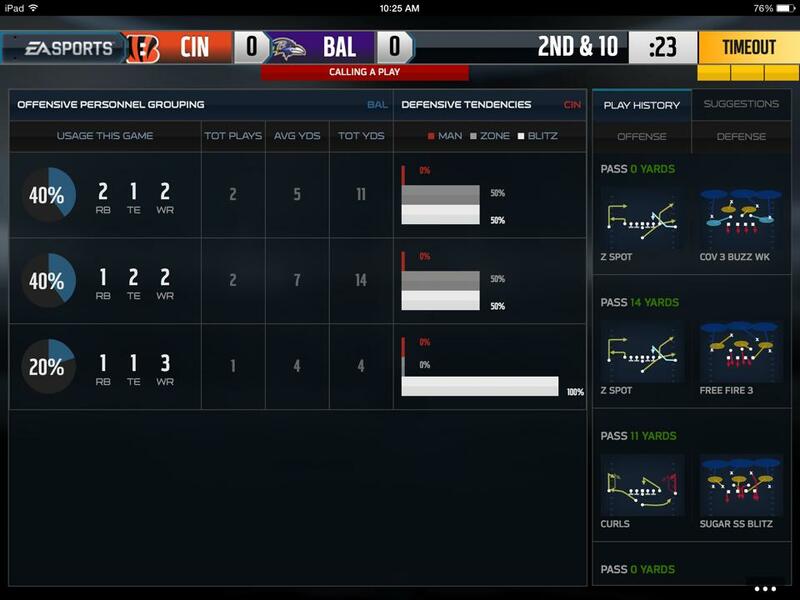 You can also manage your depth chart using the app which is an added convenience. I kind of wish more games (such as Diablo III) had companion apps (I’d love a full screen map and inventory management using SmartGlass), but I’m sure there will be more amazing uses in the coming months. I strongly recommend checking out the Xbox One SmartGlass app if you haven’t had a chance to already.